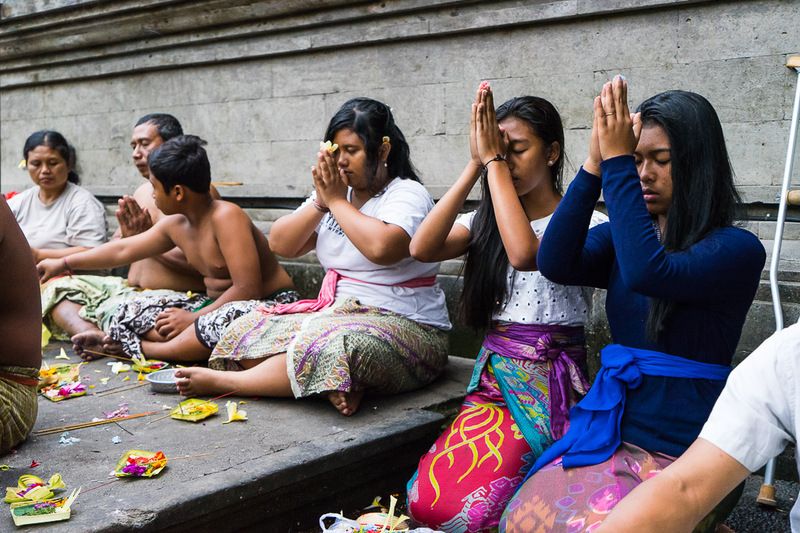 If there was one thing that was clear from my brief time in Ubud, it’s that the people of Bali are very connected to their spiritual side. 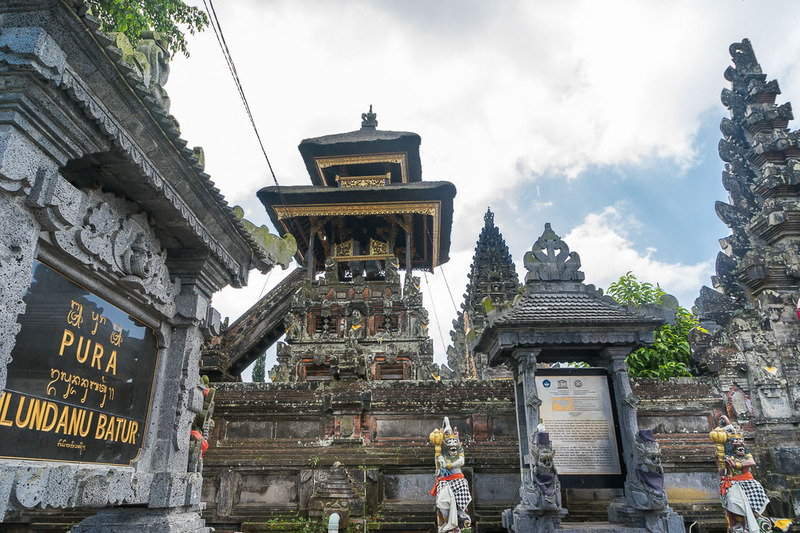 So it seemed like a worthwhile idea to do some wider sightseeing of at least a few of the many Hindu Balinese temples (referred to locally as “puras”) in the area. 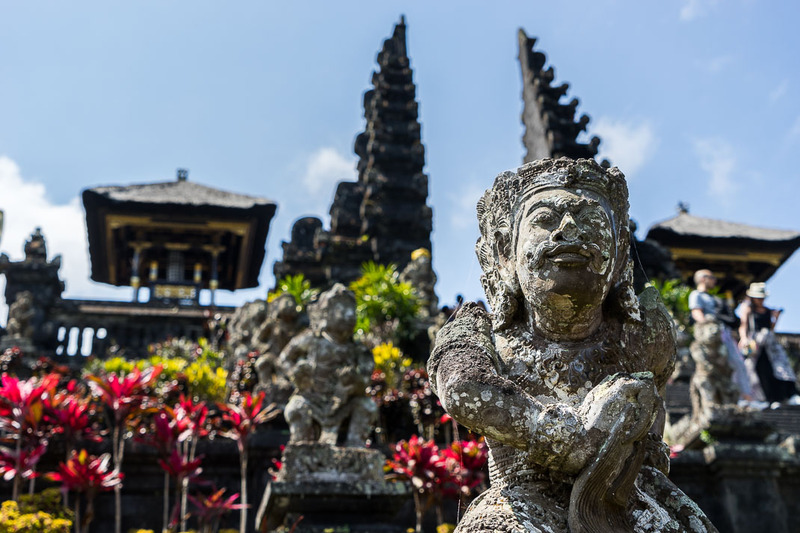 Bali itself is known as the island of 1000 puras, so narrowing down this list at first seemed like a daunting task. After asking around though, there really are only around 15 or so that are in some way important. Given that I only had a single day for temple viewing, I wanted to get in a nice mix. 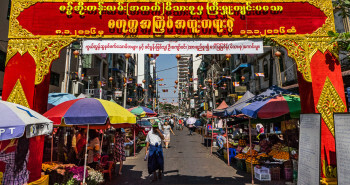 With the help of my hosts and the driver I had hired, we ended up narrowing this list down to 5 significant and/or visually interesting locations to check out. 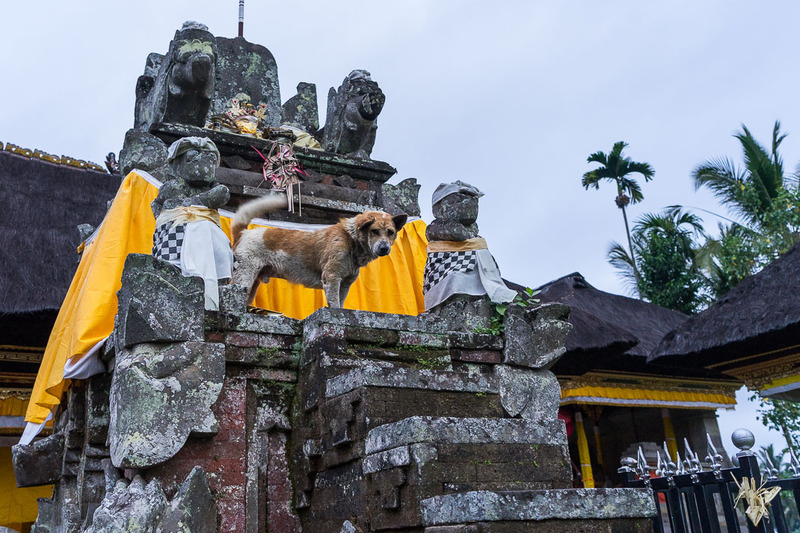 With everything in order, we began the winding drive up to the small mountain town of Kintamani, where the first of the Balinese temples awaited. Along the way, my driver Wayan explained that even though Indian and Balinese temples are both Hindu, those built in Bali have a unique layout. 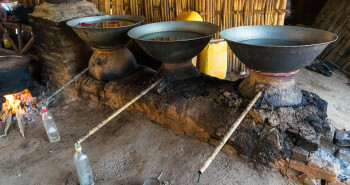 Each is broken up into 3 zones that ramp up the level of holiness the further inside you get. Individual areas are also separated and clearly defined by different sets of gates. 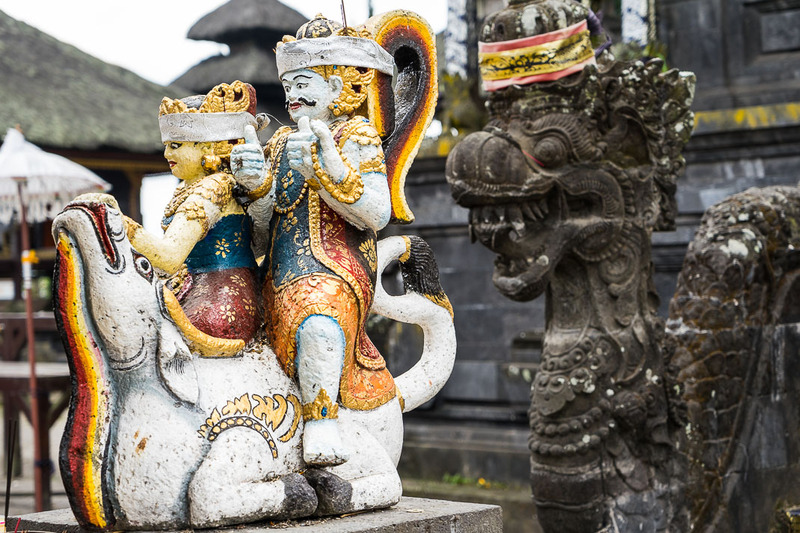 Even though every one of the Balinese temples have their own unique look and often theme, they all must follow these rules. 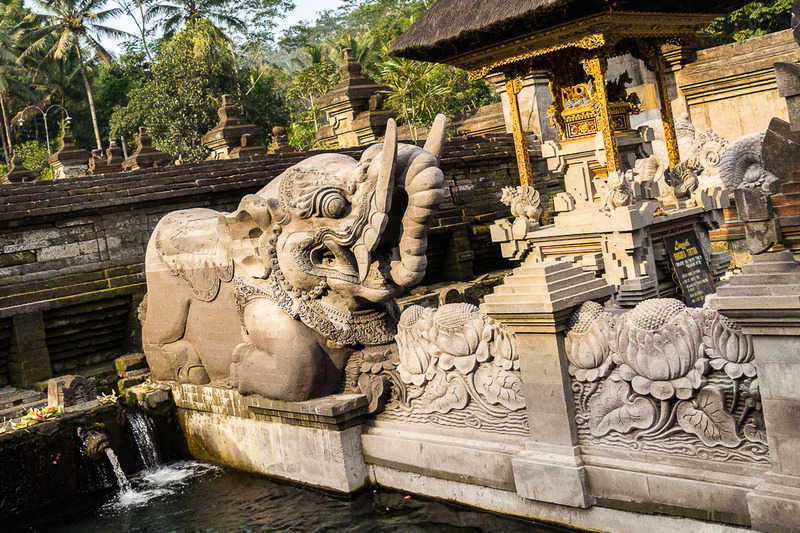 Having passed over the steep curvy roads, we eventually pulled alongside the entrance of Pura Ulun Danu Batur. 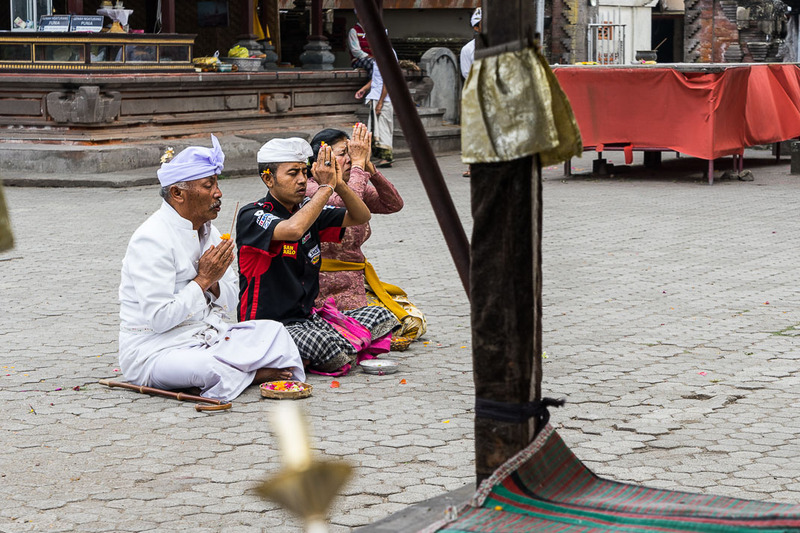 Luckily Wayan had brought along a ceremonial sarong for me to wear, as these are required for all of the Balinese temples we visited. If you’re guide isn’t quite as prepared, or you’re going at this solo, you’ll have to rent one from a vendor outside. 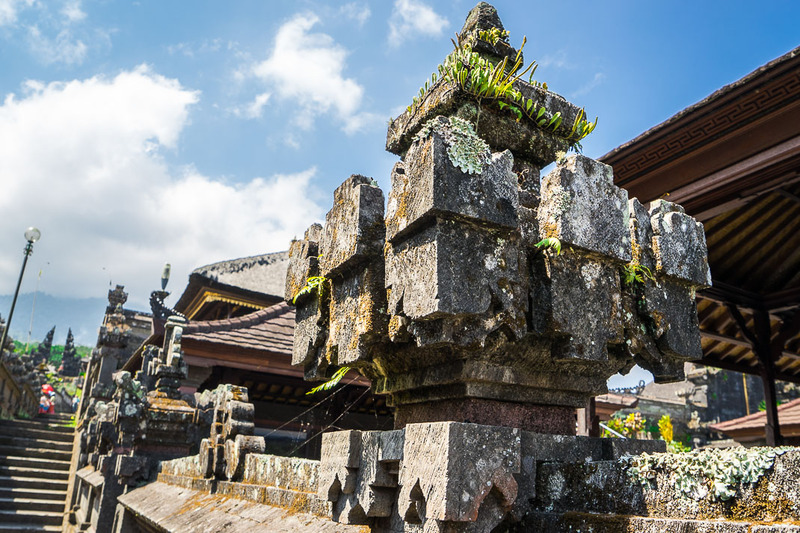 Ulun Danu Batur is considered the second most important of the Balinese temples (the first being Pura Besakih, which was our next stop). 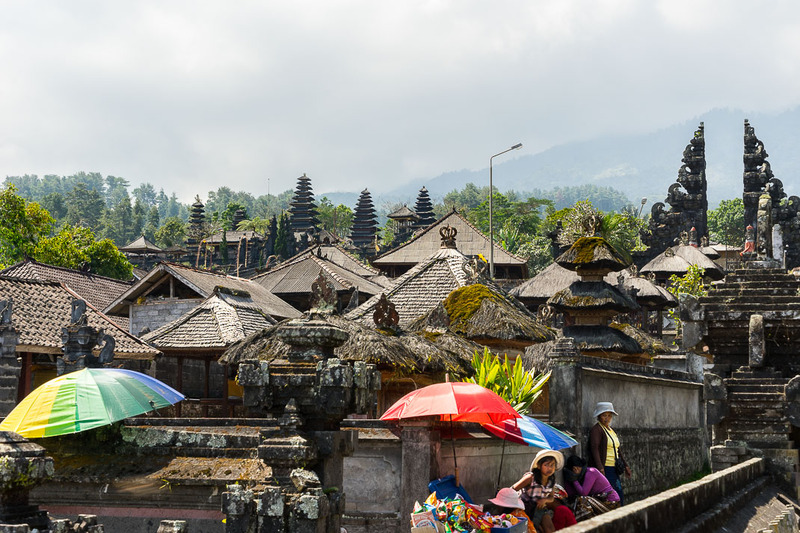 Comprised of 9 individual temples and over 250 shrines, the overall grounds are massive, with multiple courtyards. 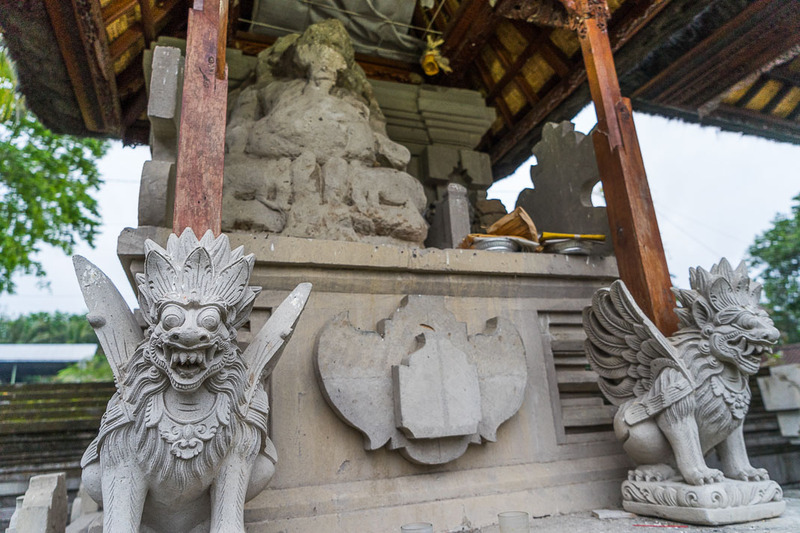 Each one is for a different deity or monument, but Ulun Danu Batur as a whole is dedicated to Dewi Danu, the Goddess of lakes and rivers. 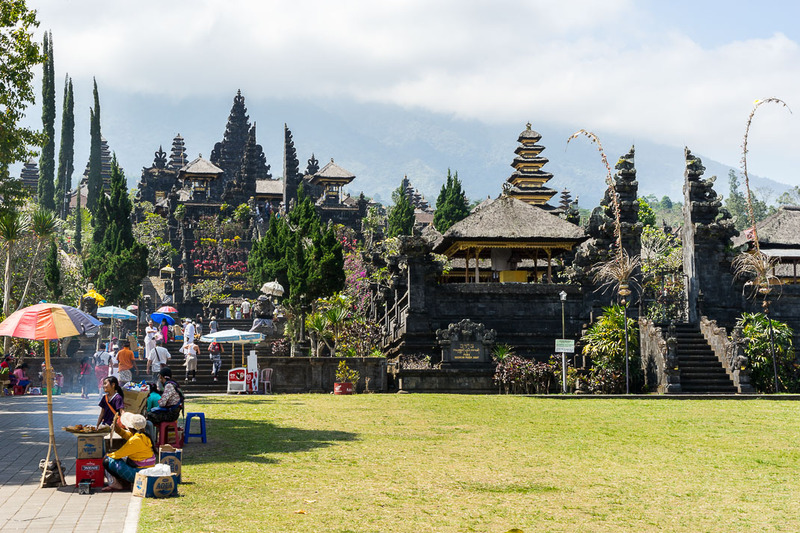 This temple was originally located at the base of the nearby Batur volcano, but had to be moved to its current location in 1926, after an eruption wiped out everything but the primary shrine. 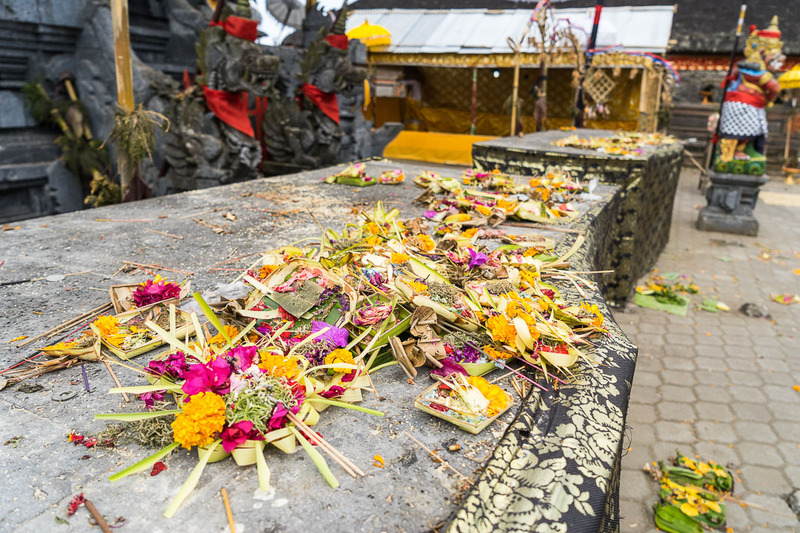 While walking around, the remnants of the previous week’s Galungan ceremonies were still visible. 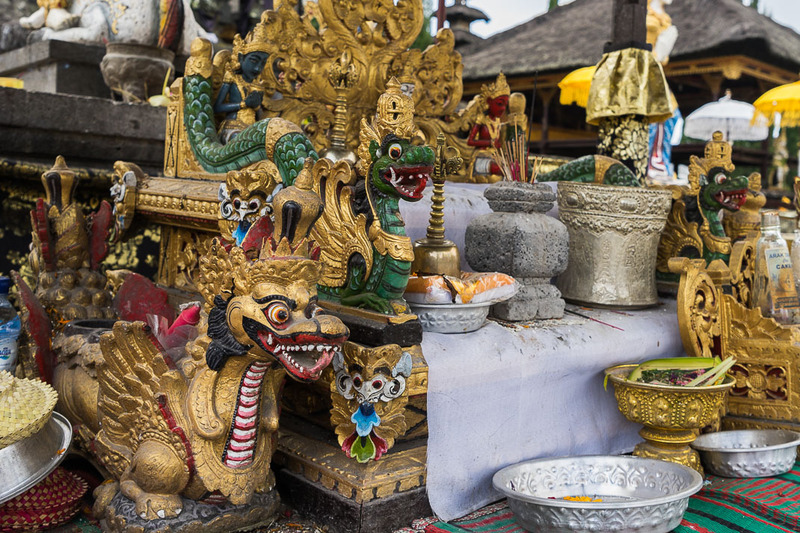 Offerings had been scattered just about everywhere, and many of the statues were still dressed to impress. 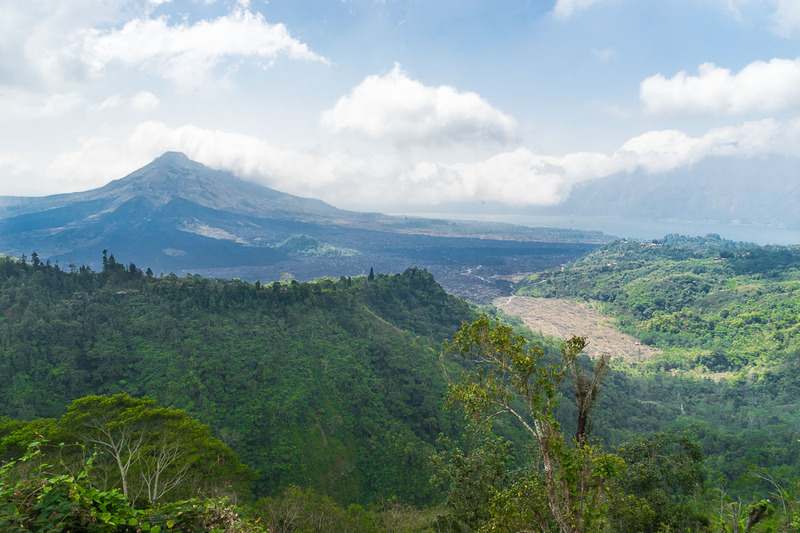 As we began our walk back to the van, I stopped dead in my tracks as soon as the Batur volcano came into view. 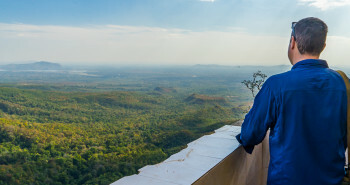 Wayan looked out at Batur and let out a gruff chuckle. 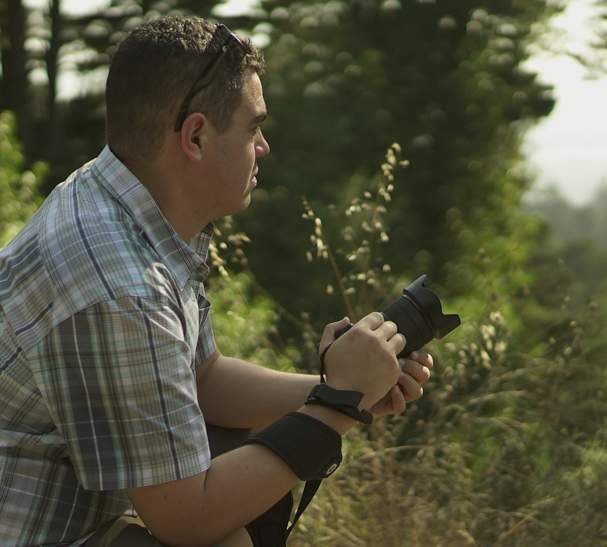 And with that, he turned around and began walking back to the van, leaving me standing there, wondering what I had signed up for in the days ahead. 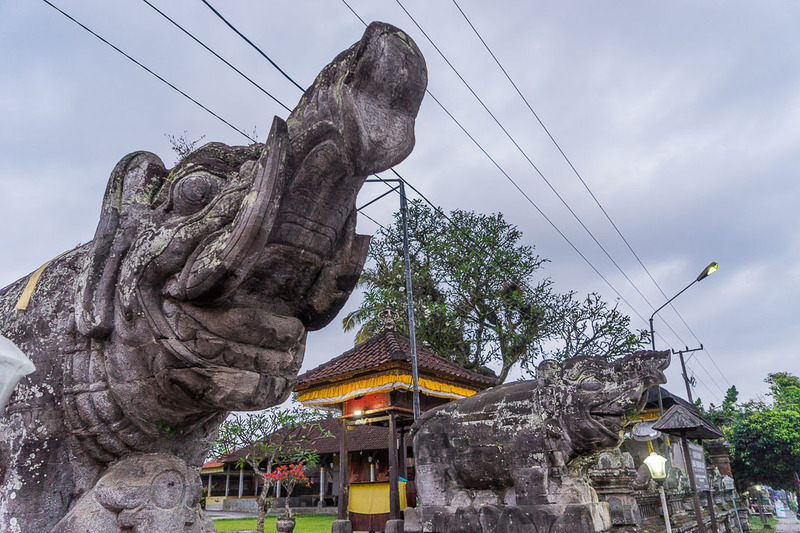 We then made our way to Pura Besakih, referred to as the Mother Temple. 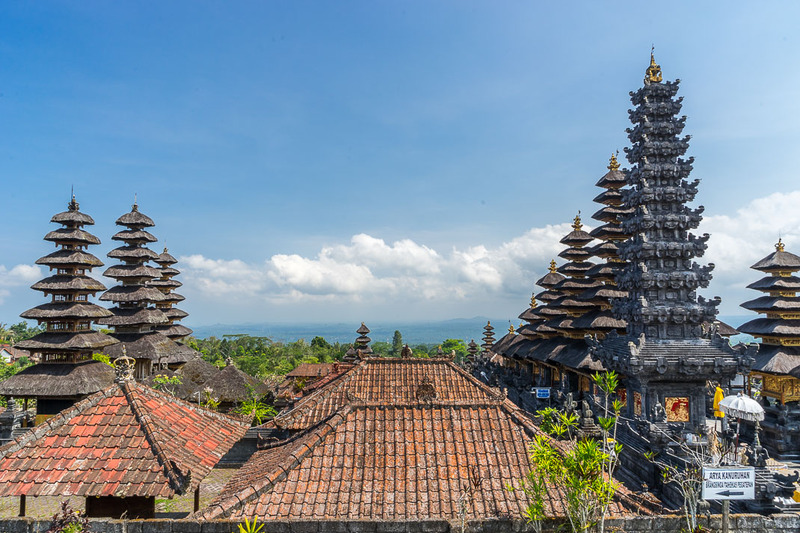 Nestled next to the Agung volcano, this is the largest, oldest, and most important of the Balinese temples. 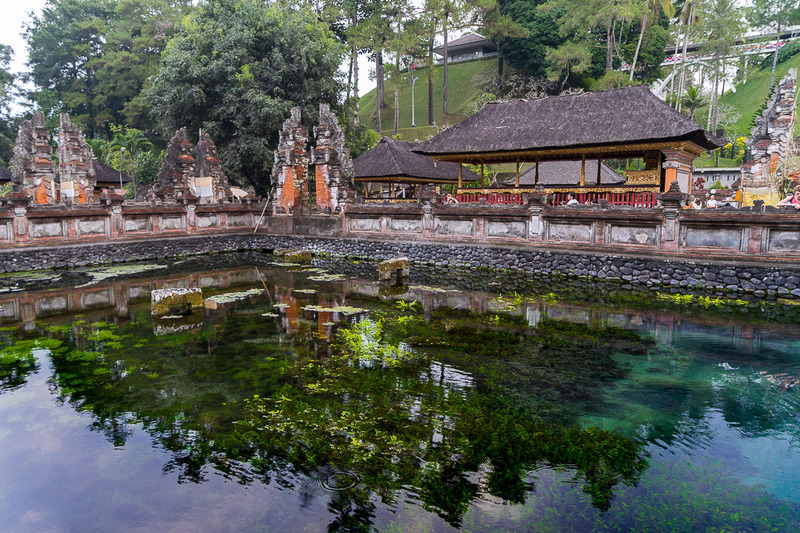 Much like Ulun Danu Batur, the Pura Besakih complex is made up of 23 separate temples and hundreds of shines. 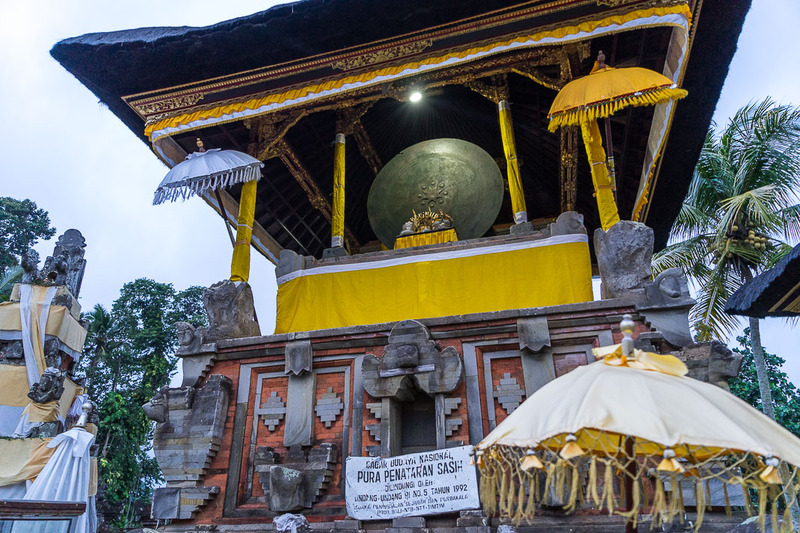 As we approach the entrance, it became clear that this temple had actually been built into the slope of the volcano, making it seem at times like Pura Besakih was ascending into the clouds. 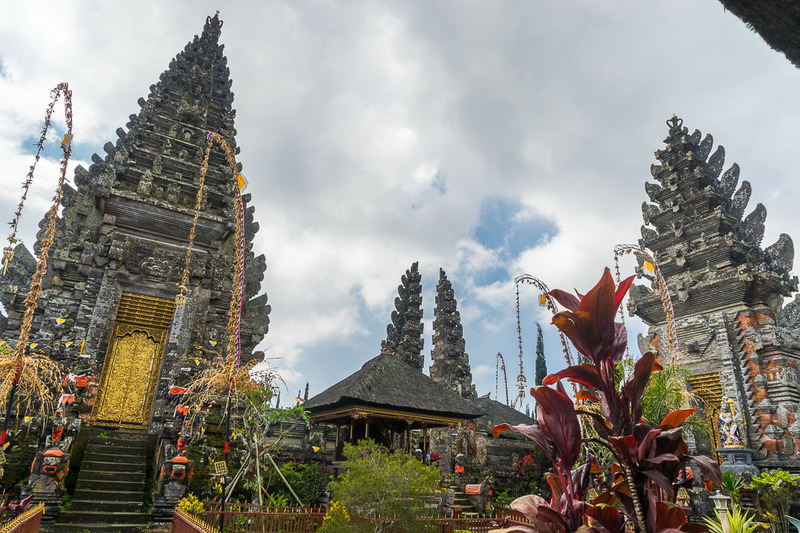 While making our way up, Wayan described how nobody really knew exactly how old this temple was, but that many believe it to be over 2000 years old. We then stopped at one of the many large black rock pillars covered in moss. 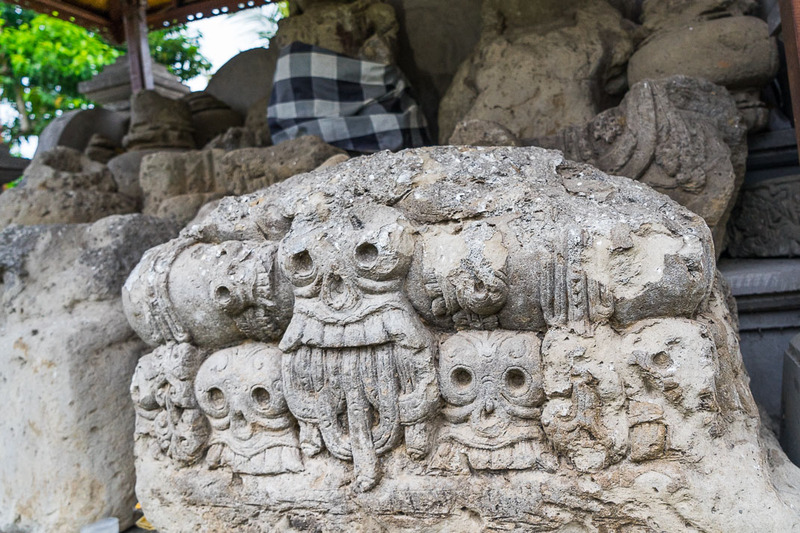 All of these throughout the grounds were apparently carved from lava rock after the Agung volcano erupted in 1963. 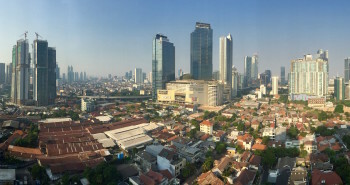 With a large grin, Wayan waved his arms around in a circular motion. As we made our way to the top, the cloudy sky had just about cleared, providing an amazing view that allowed us to see all the way out to sea. 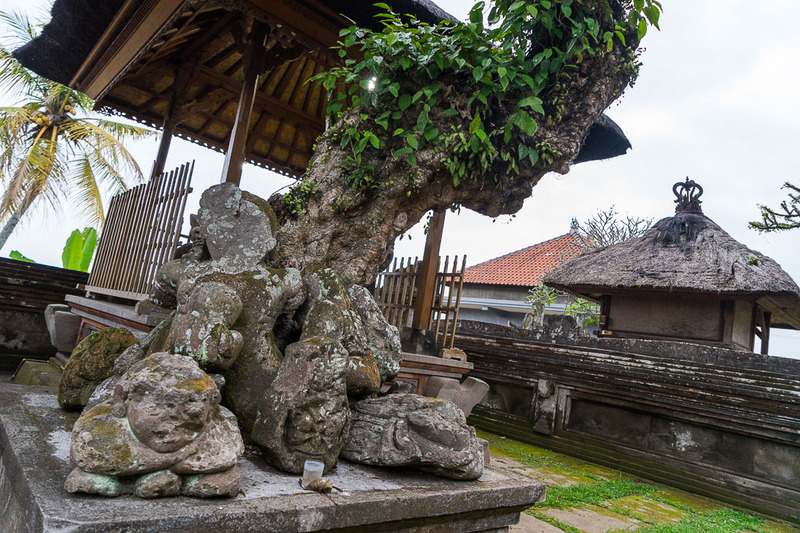 Our next stop was probably the most unique of the Balinese temples we visited. 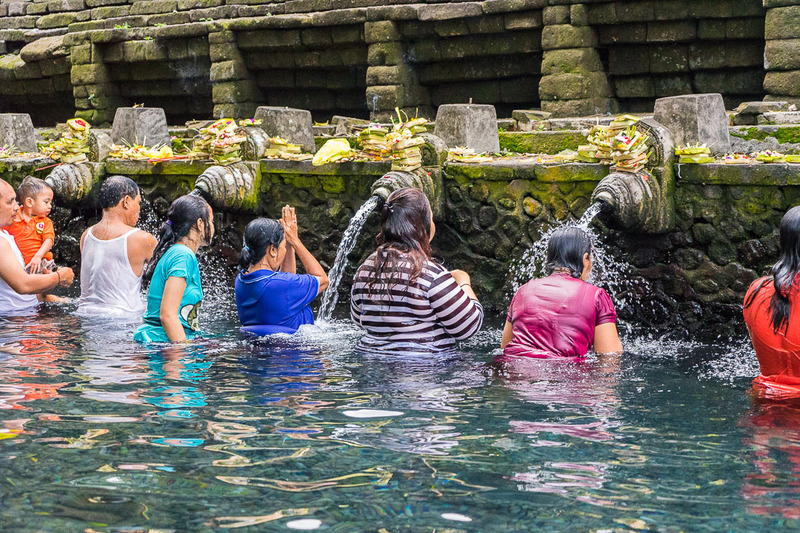 Tirta Empul, one of the many Hindu water temples, was built in the 10th century on the grounds of a large natural spring. 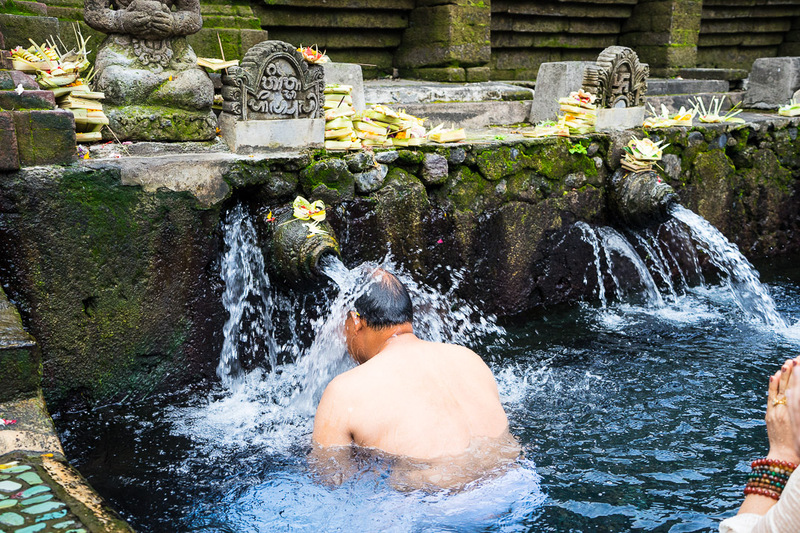 Since then, people from all over the world have regularly made the pilgrimage to be blessed in one of the two different purifying pools. There are even a few rows of lockers set-up, so that anyone planning on going for a quick dunk can strip down and stash their belongings. The tour was starting to wind down and, thankfully, the roads began to straighten back out. 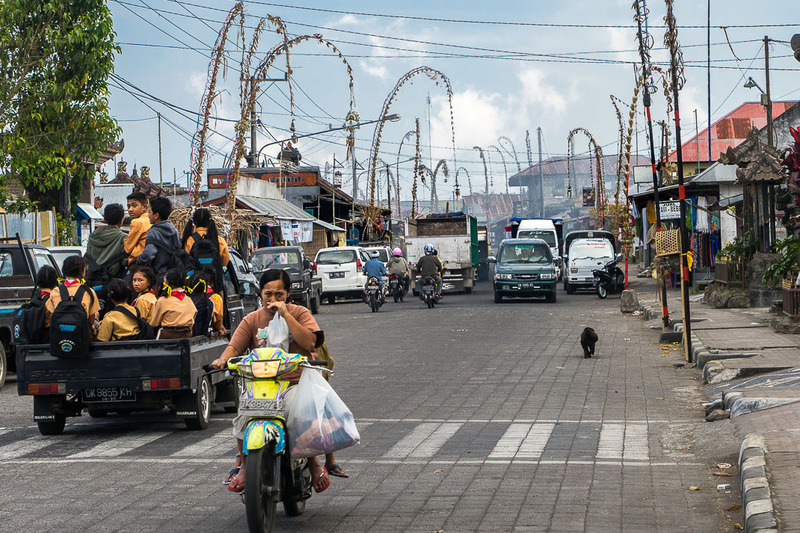 We were now in the small town of Pejeng, known primarily for its two temples. 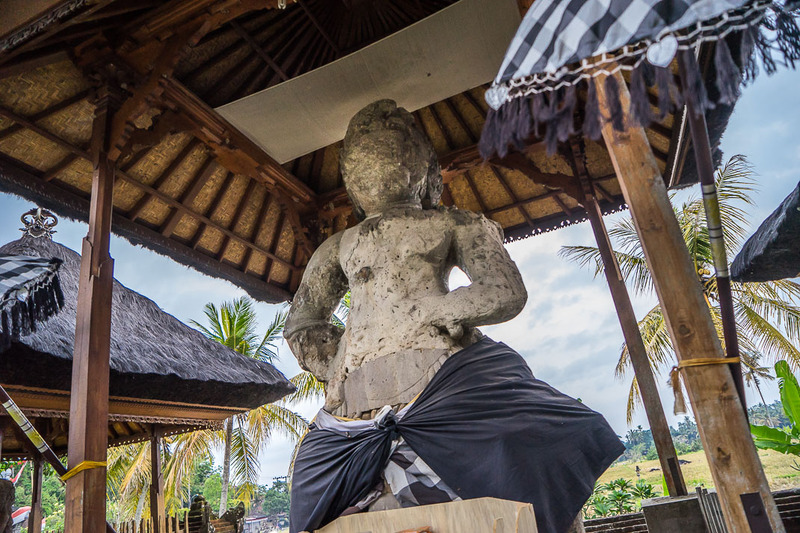 The first is Kebo Edan, known as the Crazy Buffalo Temple. Though, you can imagine my disappointment when I learned that there were in fact no crazy buffalo present, either in living or statue form. 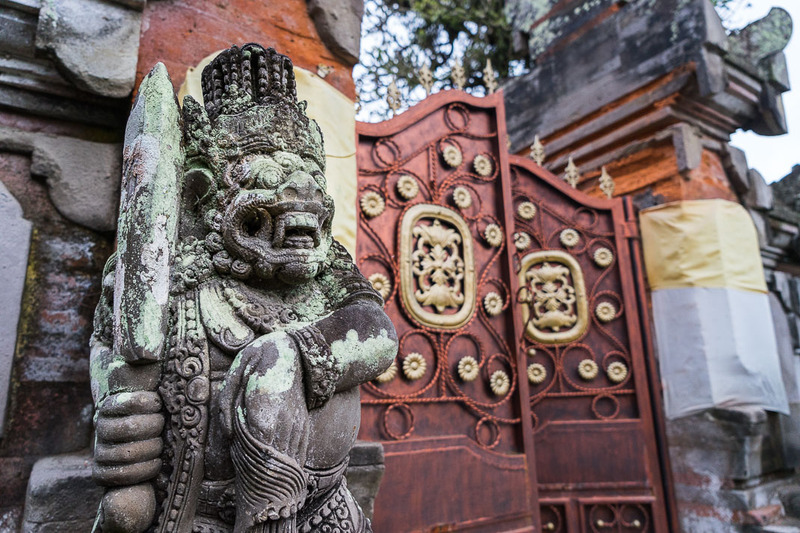 Instead, this temple is primarily known for its collection of ancient statues, spread throughout the grounds. 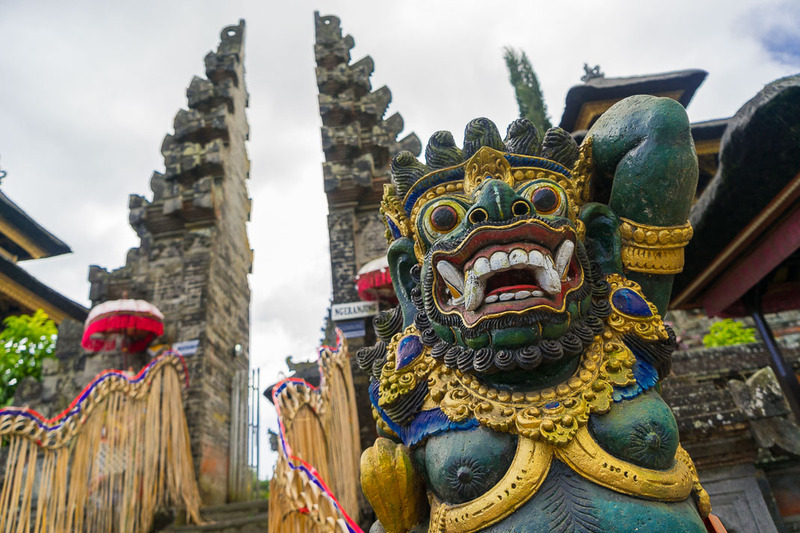 The most famous of these is what the Balinese refer to as the Giant of Pejing, believed to be over 700 years old and represent one of their heroes of legend. Just up the road from Kebo Edan was our final destination of the day. The timing of this was perfect, as the sun was already setting and I was beginning to feel some temple burnout. Penataran Sasih is definitely one of the smaller temples, with really only a handful of statues inside its walls. 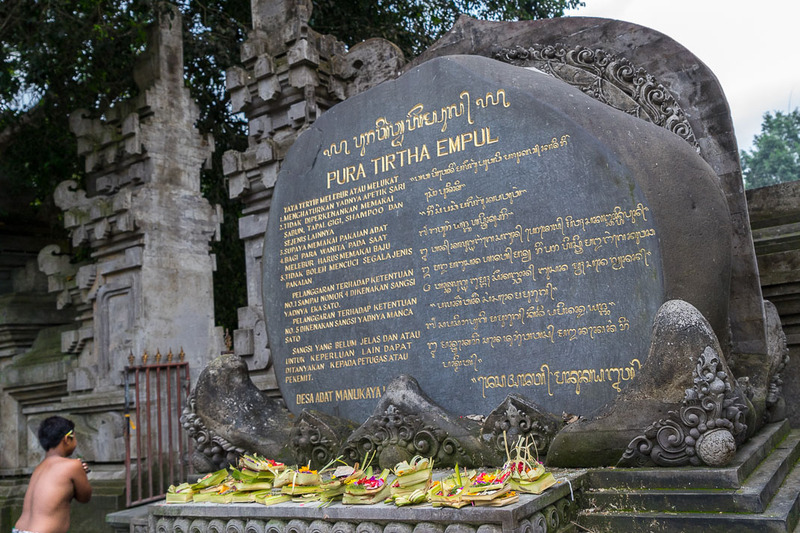 The lone exception, and what makes this temple significant, is the Moon of Pejing, a big bronze drum that is considered to be the largest known artifact of Southeast Asia’s Bronze Age. 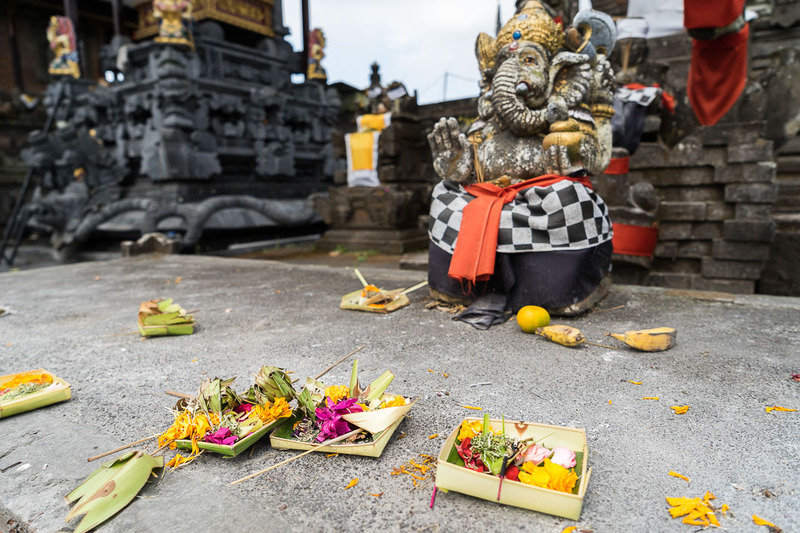 And with that, my Balinese Temple whirlwind had come to an end. Wayan dropped me back off at my guest house and, before driving away, wished me one final farewell. I gave him a quick nod and waved as his van jerked down the road and out of view. 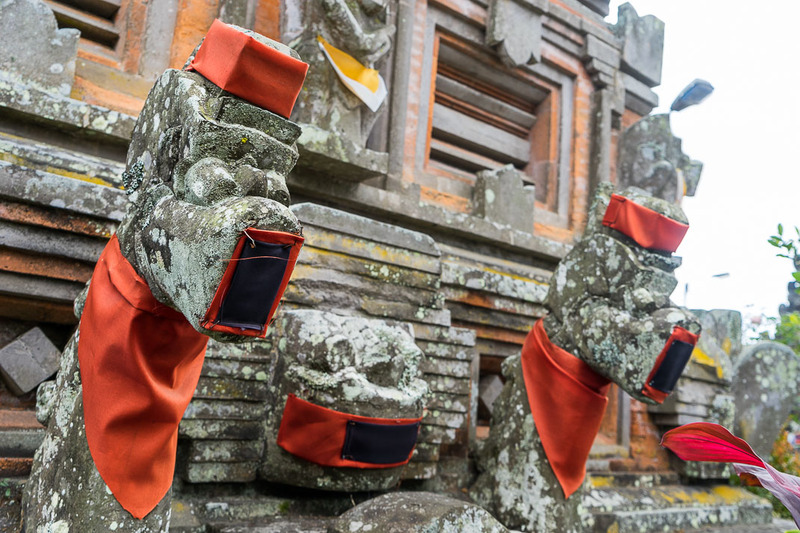 Did I feel any different after visiting all of these temples? More enlightened perhaps? Though I had survived Wayan’s cannonball run through that mountain pass, so maybe, just maybe, that counts for something.